Live in Mobile, Baldwin or Escambia Counties, ONLY. Are age 18 to 65. DO NOT have health insurance. DO NOT have Medicare. However, once you spend $3,310 on the prescription coverage plan, you have hit the “donut hole”. If you meet our other requirements, please bring your Medicare print out from your regular pharmacy and we can help you until your benefits reset at the end of the year. 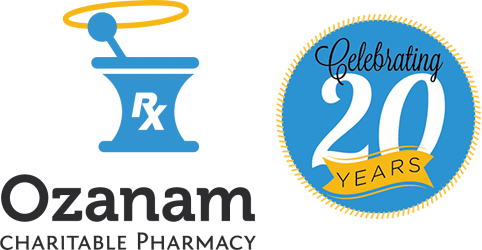 If you QUALIFY to receive medications at Ozanam, click here to find out where you should go to get certified.